The Southeast Coastal Ocean Observing Regional Association (SECOORA) is requesting quotes from data management service providers to manage and enhance the SECOORA data management and communications (DMAC) infrastructure. The period of performance is June 1, 2021 – May 31, 2026. Respondents should also demonstrate how they will build upon or modify SECOORA’s current DMAC system. 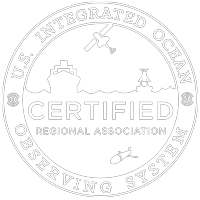 Additionally, contractors must showcase how they will implement a robust, cost-effective, and scalable coastal ocean data management system that is compliant with IOOS DMAC requirements. Responses should be sent to Jennifer Dorton (jdorton@secoora.org) by 5PM ET, May 22, 2019. Click here for full DMAC RFQ.